EURUSD was supported due to the Services PMI in the EU. 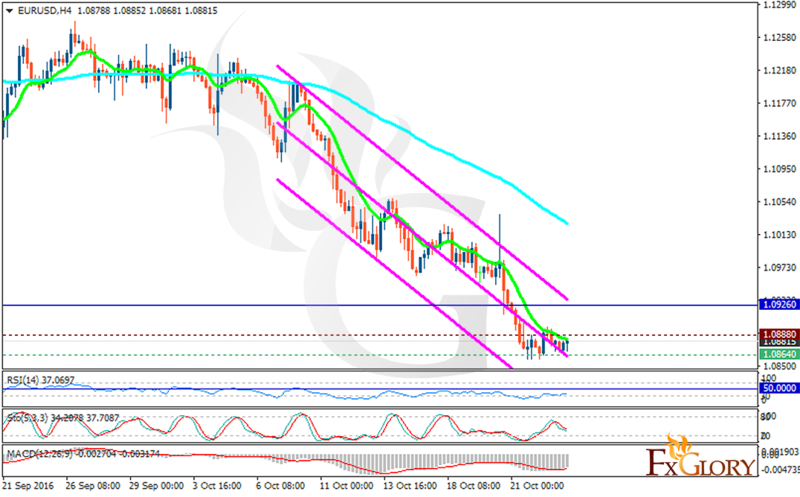 The support rests at 1.08640 with resistance at 1.08880 which both lines are below the weekly pivot point at 1.09260. The EMA of 10 is moving with bearish bias and it is located below the EMA of 100. The RSI is moving below the 50 level, the Stochastic is moving horizontally in neutral ranges and the MACD indicator is in negative territory. As long as the pair is moving below the 1.1 area, it would stay bearish.